I was born in South Korea and came to America when I was 1 years old. We lived in Prince Georges County, Maryland for 4 years then moved to Fairfax, Virginia. I grew up in Fairfax graduating from James W. Robinson and then taking classes at Northern Virginia Community College. A true native of the DMV (District of Columbia, Maryland & Virginia). I currently live in Lake Ridge, Virginia with my wife Jane and 2 kids (Elsie and Ian). In 2006 I got my Real Estate license. Shortly thereafter the real estate industry took a sudden downturn. Most of my real estate business were Foreclosures and Short Sales. In 2012, I put my real estate license on hold because my family needed me full time at their dry-cleaning business. In 2017, with the encouragement and support from my wife and family, I relicensed and got back into Real Estate. I know what it is to work hard and deliver excellent quality. I love serving and helping people. I worked hard in my families’ dry-cleaning business to make it successful and I will do the same as your real estate agent. I am… Licensed in Maryland and Virginia. Member of the National Association of Realtors (NAR), Maryland Association of Realtor (MAR), Greater Capital Area Association of Realtors (GCAAR), Virginia Association of Realtors (VAR), and the Northern Virginia Association of Realtors (NVAR). Listed this beautiful house and within 2 weeks, we received multiple offers. Currently under contract for above list price and set to close next month. 12 Saint Richards Ct. Stafford, VA 22556 - HD Bros Does your listing have it's own web address? 12 St. Richards Ct. in Stafford, VA. Photos from David Park, Realtor's post Open House today at 12 St. Richards CT. Stafford VA 22556. From 1 pm - 4 pm. Come and see this beautifully updated and well maintained 3 level colonial located in the St. George's Estimate in Stafford, VA. Virtual Tour - 12 Saint Richards Court, Stafford, VA 22556 Open House!!! Timeline Photos Setting up and getting ready for an open house. 12 St. Richards CT. Stafford VA 22556. 1 - 4 pm. Come in and take a look at this beautiful house. Call, Email or Message to schedule an exclusive tour. Actually, under contract on the 13th. I didn't have a chance to post this earlier. Are you planning on selling this year? Call, text, message or email and let's talk. Coppermine ... 4 Comments Congrats D Congratulations!!! Congrats! 12 St Richards Ct.mov Coming Soon!!! Video link below. Beautifully updated and well maintained 3 level colonial in North Stafford. Email from Mar 04 2019 - Matrix Portal Coming soon! New listing in Waldorf, MD. Beautifully renovated 2 level townhouse with 3 bedrooms and 1.5 bathrooms. Going active later this week. Photos from David Park, Realtor's post Open House! David Park, Realtor is in Alexandria, Virginia. Homesnap to Help 10 People Pay Mortgage or Rent Federal employees effected by the shutdown. Take a look at this. First settlement of the year! Glad to finish this one. This was supposed to be a walk in the park. *THE ABSOLUTELY WORST appraisal on a townhouse. 1. Comps that are 9 months old. ... 3 Comments Congratulations David!! Keep it going. Congrats D! Way to hang in there ... Congrats!! 6026 Makely Drive, Fairfax Station, VA, 22039 Open house Sunday 1/20/2019 from 1 - 4 pm. Beautiful home in Fairfax Station. Spacious split level, 4 beds, 3.5 baths. Click on the link or for more information call or email. Timeline Photos My next read. Suggested by a very good friend of mine @settlementattybarb. Excited to break into this one. Have you read this? What was your biggest take away? Photos from David Park, Realtor's post Christmas family outing. Enjoying some family time on black Friday. Stonebridge at Potomac Town Center always have family fun activities throughout the year. 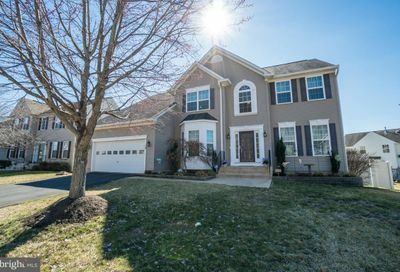 Coppermine Realtry presents one of its newest listing in Fairfax Station, VA.
Fore Sale at $849,000. 4 Bedrooms with 2.5 Bathrooms. Located in the Robinson High school district. Open House for our new Coppermine Realty office. 2019 Closing Cost Contest – Affordable Housing Conference of Montgomery County Attentions 1st time home buyers in Maryland! If you live in MoCo (Montgomery County)...there is an essay contest that can give you between $2500-5000 in closing cost help, just for submitting an essay. Featured Listing in Waldorf, MD New on the market in Waldorf. Many updates to the property and ready for the new owners. You won't be disappointed. The Waldorf area is growing quickly and home values are still on the rise. Photos from David Park, Realtor's post Just got my next book from Amazon. It was in "acceptable" condition. I didn't think the condition of the book would be this bad. I'm hoping it will hold together until I'm finished reading. Timeline Photos Finished reading book 8 for the year. Reached my goal and pushing ahead. I highly recommend this book for anyone trying to improve their business. Next up is 7L the 7 levels of communication. Photos from Cassandra Lutjen - Coppermine Realty's post Something fun to do this Sunday. Check it out! Home Values in Lake Ridge, VA 22192 Interested in seeing a home's value? Photos from David Park, Realtor's post Another new listing! 12812 Canova Dr - Manassas, VA Coming Soon! Right off Rt234 Manassas, down the street from Charles J. Colgan High School. Click the link for a virtual tour. Call. text or email for a privet tour before this property hits the market. Photos from David Park, Realtor's post New Listing "Coming Soon" Great Location!!! 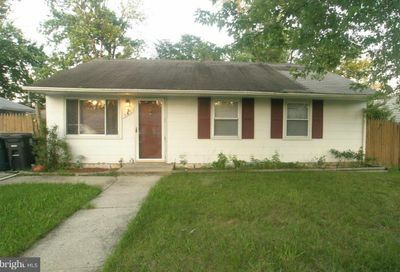 Fully renovated 3 bed & 2 bath with a 4 Car garage. Open house this Sunday 9/30 1 pm - 4 pm. Timeline Photos Another open house today! 1 pm - 4 pm. Come and check out this beautiful home. Timeline Photos Started reading book number 7. My goal for this year is 8 books on business development or personal development. Any suggestions for book number 8? Are Homebuyers Starting to Hit the ‘Pause’ Button? Is buyer demand softening? If you're selling and you haven't received an offer, you might want to rethink your strategy.